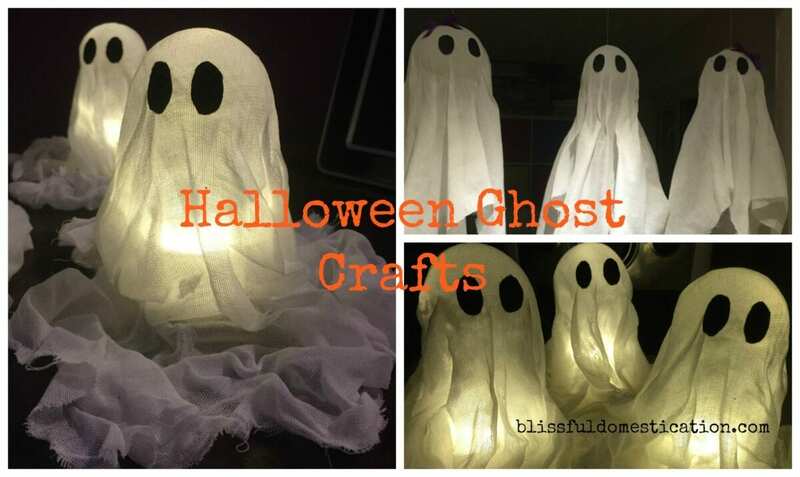 With Halloween around the corner, it’s a great excuse to do some ghost crafts. I’ve been meaning to try out some ghosts for a few years, but just never got around to it. So this was my first attempt, and I was really pleased with the outcome. 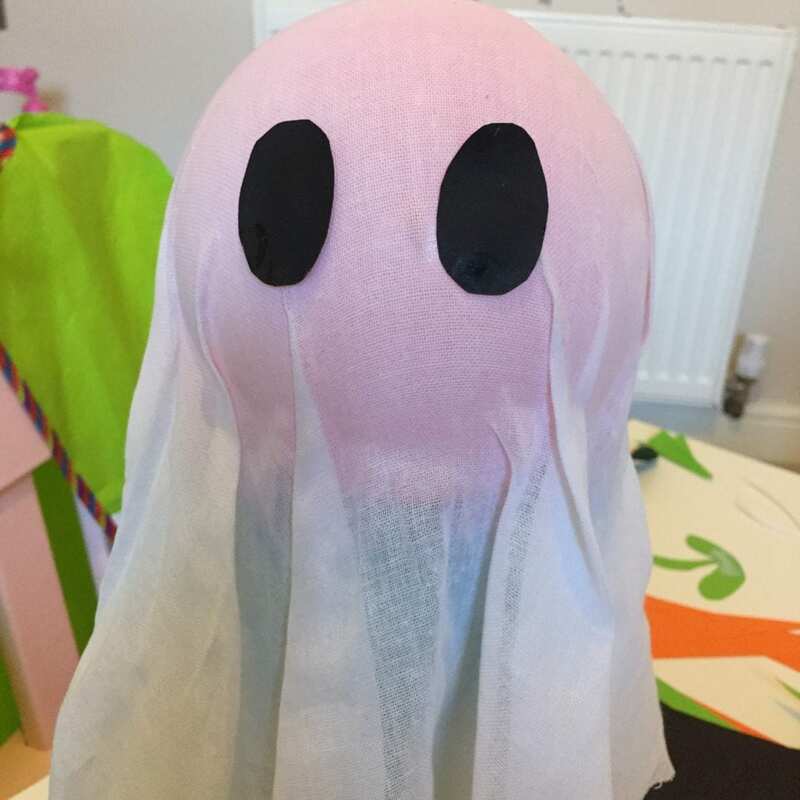 I have a feeling ghost crafts will be featuring in our Halloween celebrations for years to come! Cut the cloth into roughly 60 cm squares. 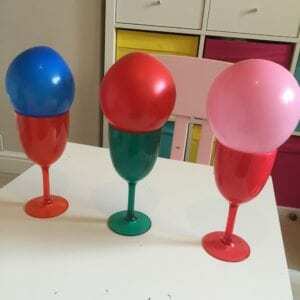 Partially blow up balloons and use a support to keep them raised, I found these plastic wine glasses did just the job. 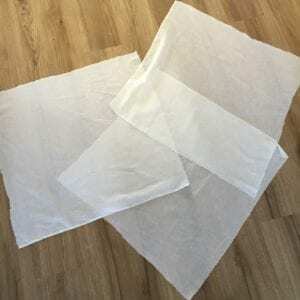 Cut cheesecloth into 60cm squares. Partially blow up balloons and rest on plastic wine glasses. 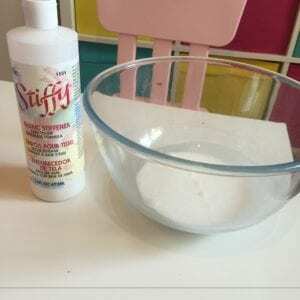 Place some fabric stiffener in a bowl. Find the middle of the square and bunch the material together and dip this half of the material into the fabric stiffener and squeeze off the excess. 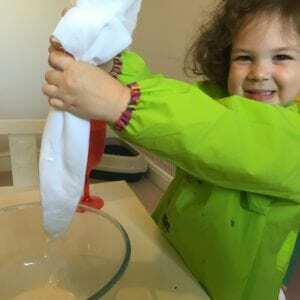 The kids loved getting involved with this bit, but it’s worth making them wear aprons as it can get a bit messy! Dip the centre of the material about half way down and squeeze off the excess. The kids loved this bit, but make them wear aprons! 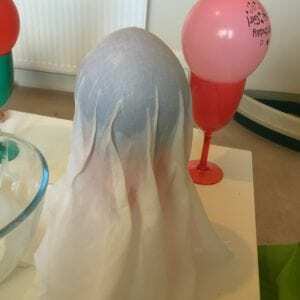 Smooth the material over the balloon to create your ghost shape. 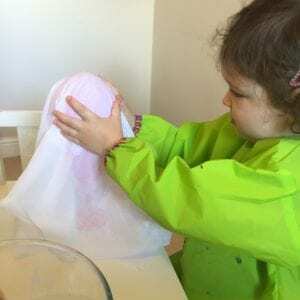 Isla loved making her ghost! Smooth the material over the balloon, but don’t worry about the odd crease. 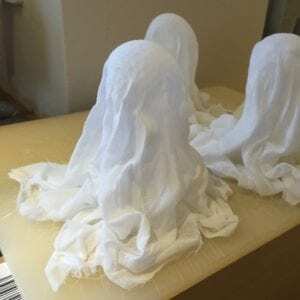 Allow plenty of time to dry, we left ours overnight. Attach eyes. We used oval shaped pieces of black card and glued them on with PVA glue, but you could also use felt or black buttons. The girls also wanted to add bows to their ghosts. 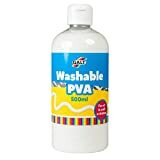 We used black card eyes, stuck on with PVA glue. 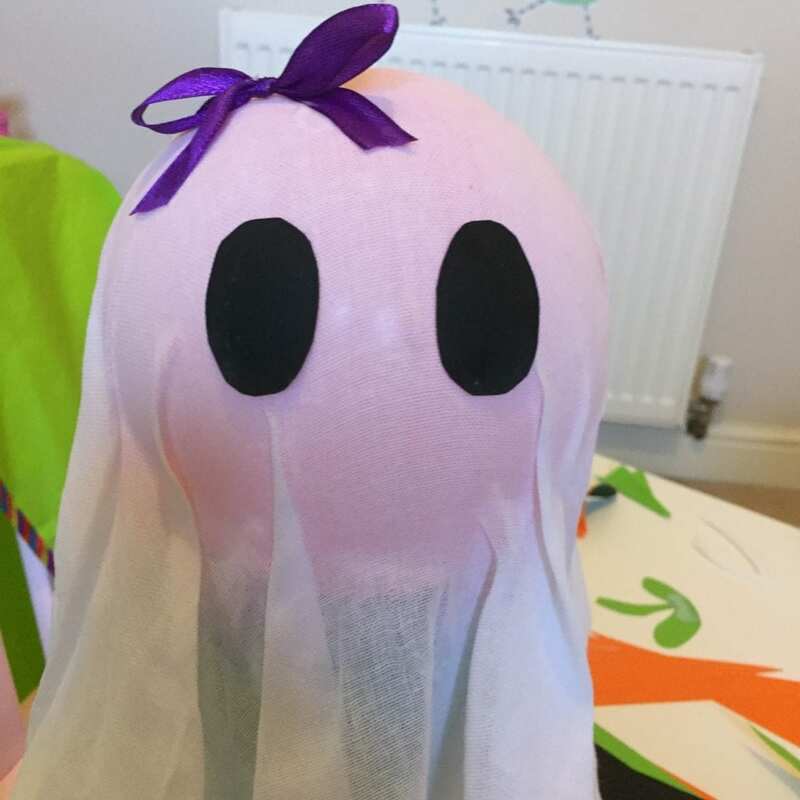 The girls insisted on adding bows to their ghosts! 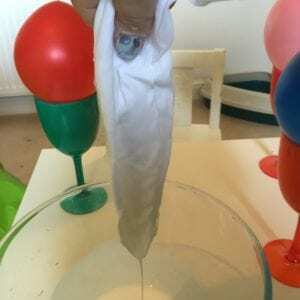 When the glue is dry, the balloons can be popped and gently removed from the fabric ghost. 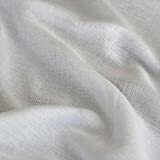 To hang, I used a double thread of white cotton threaded through the material with a needle. All ready, and hanging around for Halloween! 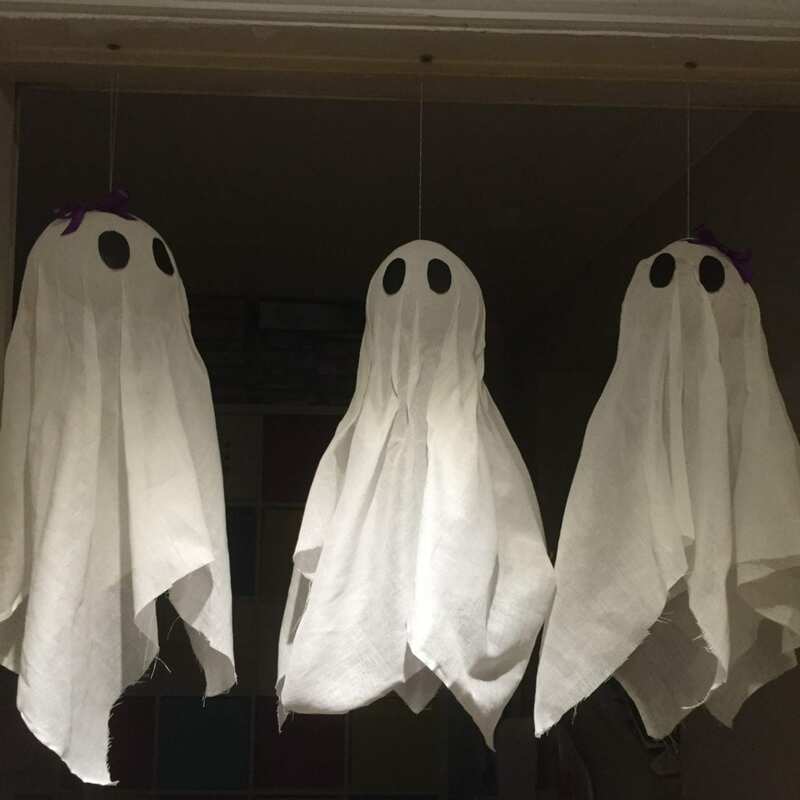 I decided to hang our ghosts in the doorway of the play room, but you can obviously hang them where you like. 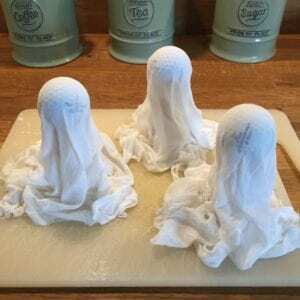 Next year I might try to make a whole string of ghosts for the porch, I think they would look great swaying in the breeze! 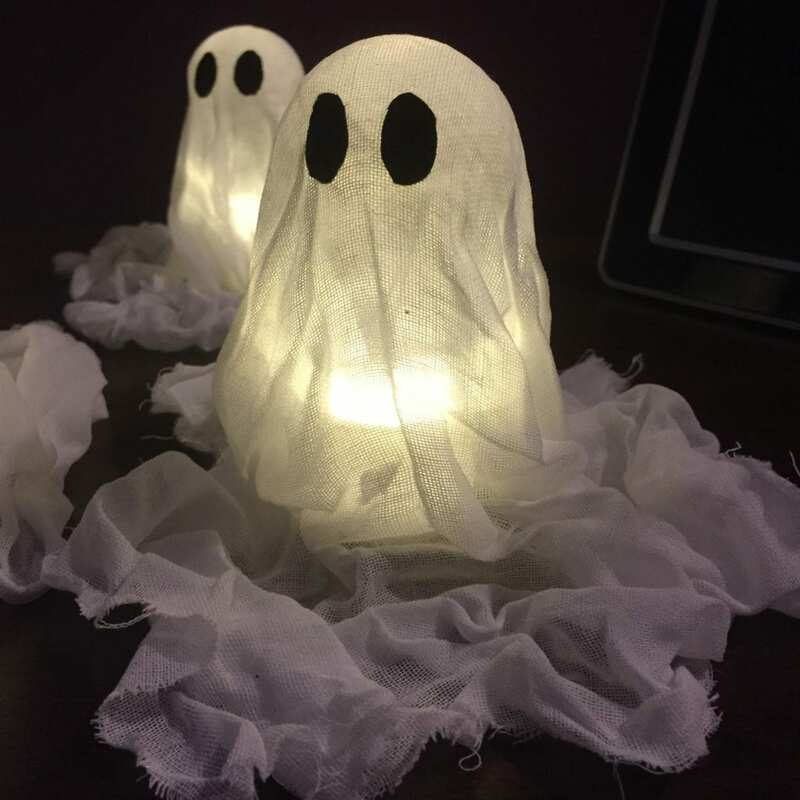 I also decided to try out some smaller ghosts with the left over material. 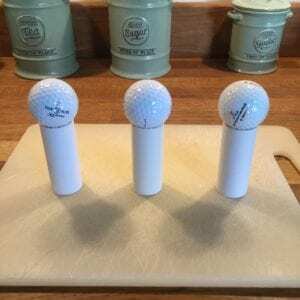 I used the same technique, but pinched some of James’ golf balls and supported them on cardboard tubes. 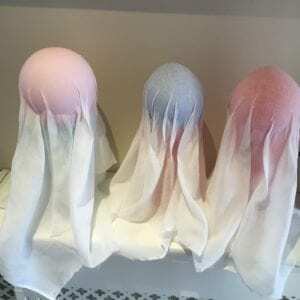 I also dipped all the fabric in the fabric stiffener as I wanted them to sit on a shelf and support themselves. Golf balls on cardboard tubes make great supports for mini ghosts. They took a bit longer to dry, but I think it was worth it. After they were dry, I used small pieces of felt for eyes, stuck on with PVA glue. With the golf ball supports removed. 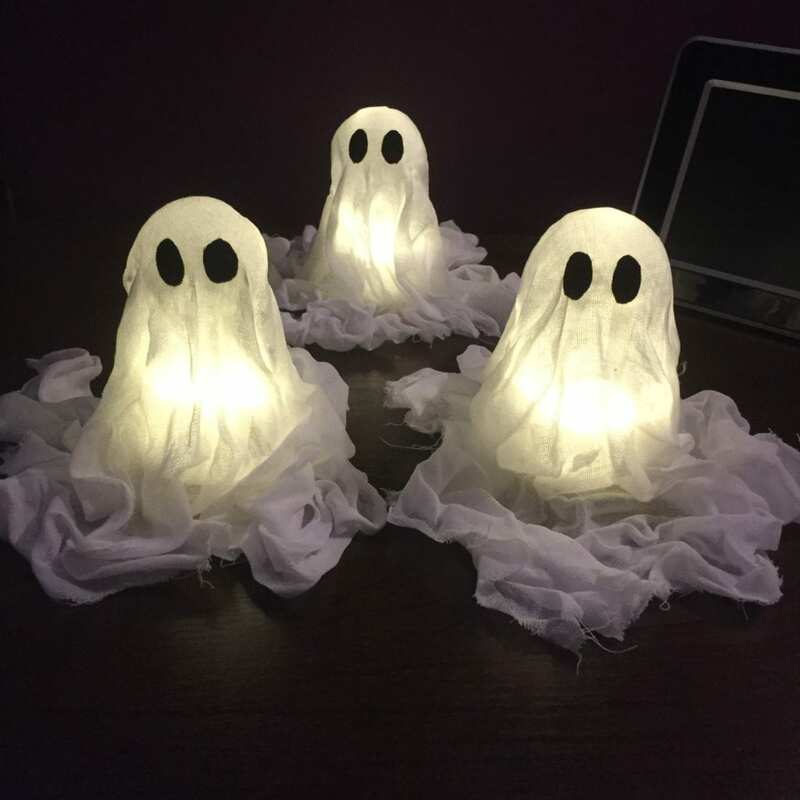 I’m really pleased how these little guys turned out and I placed an LED tealight under each one to make ghostly mini lights. 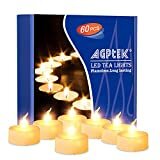 Love the finished effect, my mini ghost tea lights! 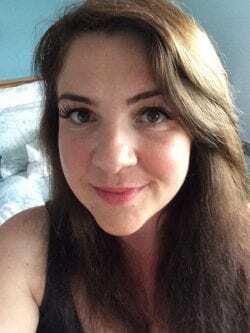 I would love to know what you think? 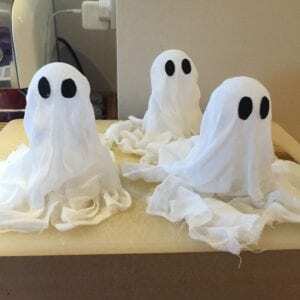 Have you been making any crafts for Halloween this year? 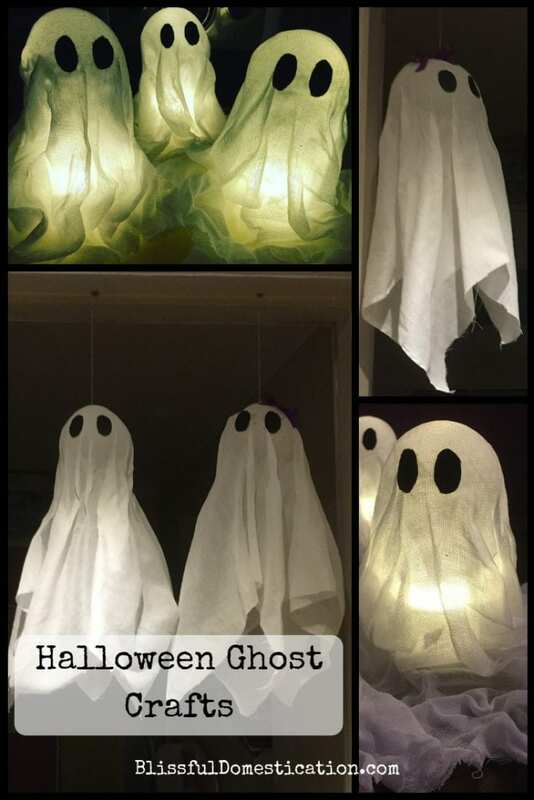 If you need some more ideas for Halloween crafts, check out out Pinterest board for some inspiration. 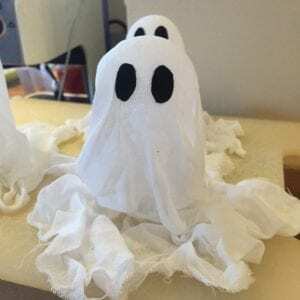 Next year I’m planning to make loads of little ones to do a row of fairy light ghosts.